Crossing the central Mediterranean has become more treacherous than ever for migrants trying to reach Europe, with one in 18 dying or going missing during the voyage - more than double the rate last year, the UN refugee agency (UNHCR) said on Monday. The publication of the report, "Desperate Journeys", coincides with the third anniversary of the death of Alan Kurdi, a Syrian refugee boy whose body washed up on a Turkish beach at the height of the migrant crisis, sparking global outrage. "This report once again confirms the Mediterranean as one of the world's deadliest sea crossings," said Pascale Moreau, director of the UNHCR's Europe Bureau. "With the number of people arriving on European shores falling, this is no longer a test of whether Europe can manage the numbers, but whether Europe can muster the humanity to save lives." 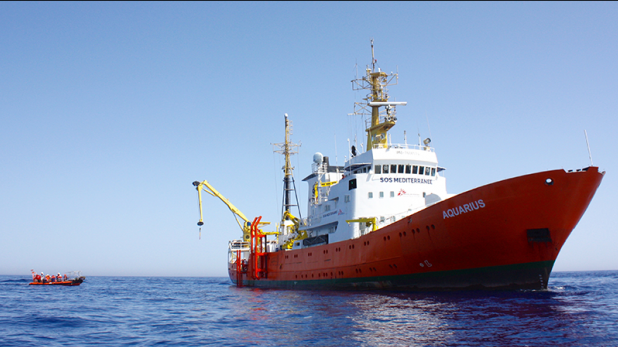 Italy's new populist government has meanwhile refused to let a number of NGO rescue vessels dock and is demanding the European Union find other ports to disembark migrants. The Aquarius caused a massive fallout in political terms.